Tilda was the first company to bring Basmati to the Western World over 40 years ago and has become an international food brand selling in over 50 countries. Tilda Basmati rice has been available in Canada for many years. In 2013 a new range of partly steamed products were launched to give us the convenience of cooking rice in only 2 minutes. These products have been partly steamed in the most natural, unobtrusive cooking method and are packeted so we can conveniently cook these delicate grains in 2 minutes. Rice is a staple in our home and we usually have it for lunch. I enjoyed preparing this steamed basmati rice by squeezing the packet, tearing about 2 cm and heating it for 2 minutes in the microwave and serving it with other dishes. I also prepared one of the packets on the stovetop with a little oil and stir fried it over high heat for 3 to 4 minutes. We enjoyed the four different packages of Tilda steamed rice. Steamed Pure Basmati Rice has long, white grains with beautiful subtle aroma and on completing the cooking the grains are light, fluffy and separate. Steamed Wholegrain Basmati Rice is the classic grain with all the natural nutrients, texture and flavour of the bran untouched. Brown Basmati has a medium to low GI and is a good source of fibre. Pilau Steamed Basmati Rice has the spiciness and warmth of cumin seeds and garam masala infused in slender Basmati grains. We really enjoyed this yellow, aromatically flavoured rice. Mushroom Steamed Basmati Rice is dark and has earthy flavour of mushroom that comes alive when accompanied by the aromatic grains of long and slender Basmati. Each of these packets are 250g and would serve 1 to 2 people depending on how much rice you like to enjoy. It is convenient to have these flavoured Tilda steamed Basmati rice in our pantry to use as needed. Tilda steamed Basmati rice does not contain artificial flavouring or preservatives and it is gluten free. We can find these Tilda Steamed Basmati rice in these locations. As always you make my mouth water when I come over here. Yet another yummy recipe I must try! My favorite rice! YUM! Wishing you and your family a happy, healthy and wonderful New Year 2014!! I have seen this in the grocery store and was curious how they were...thanks for the great review! Hi! thanks for the blog. 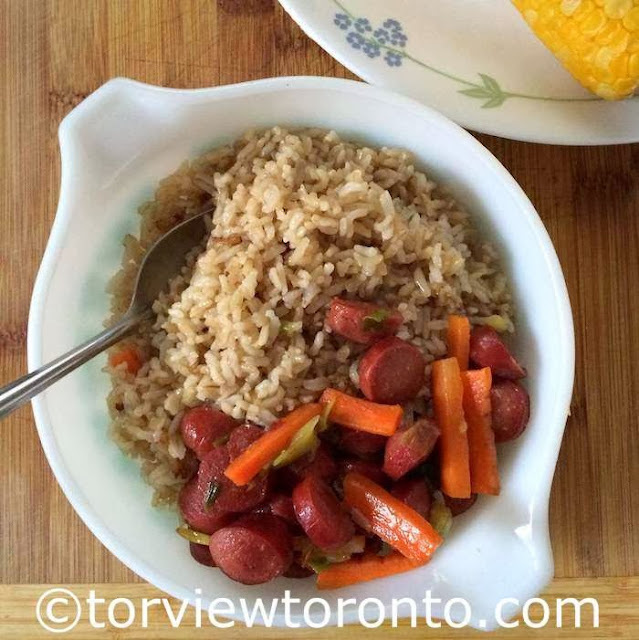 Where can I buy Tilda Steamed rice in Toronto?